Factfulness | Stowarzyszenie Wspierania Młodzieży "CZ-ART"
Each generation has it’s own way to reach information about the world. Our grandparents used radio, our parents used TV, we use the Internet. It allows us to learn anything anywhere at any time. But as Mitch Kapor said „Getting information off the Internet is like taking a drink from a fire hydrant”. Finding a useful, valuable and reliable information is a hard task. 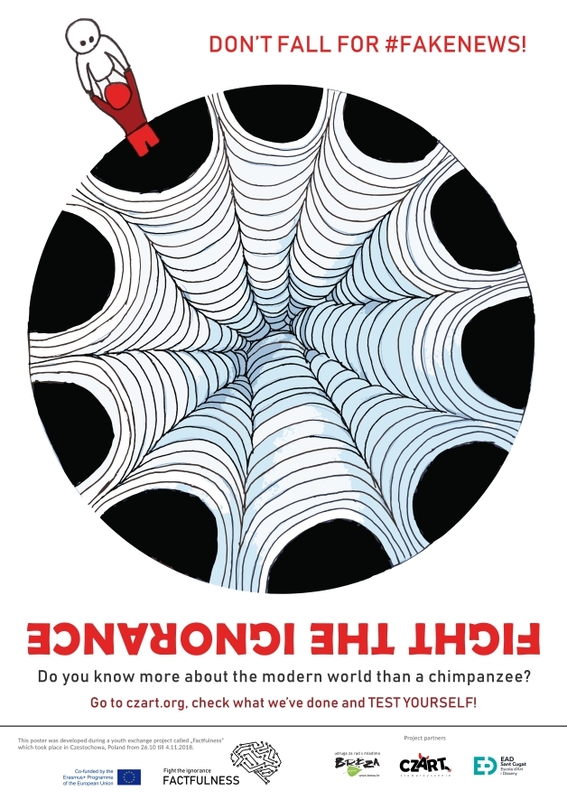 if you know more about the modern world than a chimpanzee. 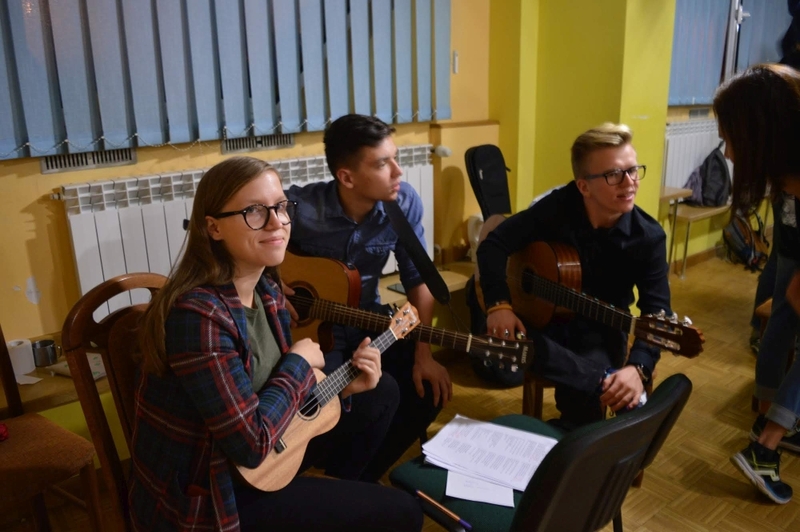 In February 2018, Janek Brozynski, who is currently working with in Spain, got in contact with a group of young people from Sant Cugat del Valles, a small town in the outskirts of Barcelona. He told them about the opportunities of Eramsus+ programme and started to help them transform their ideas into a youth project. 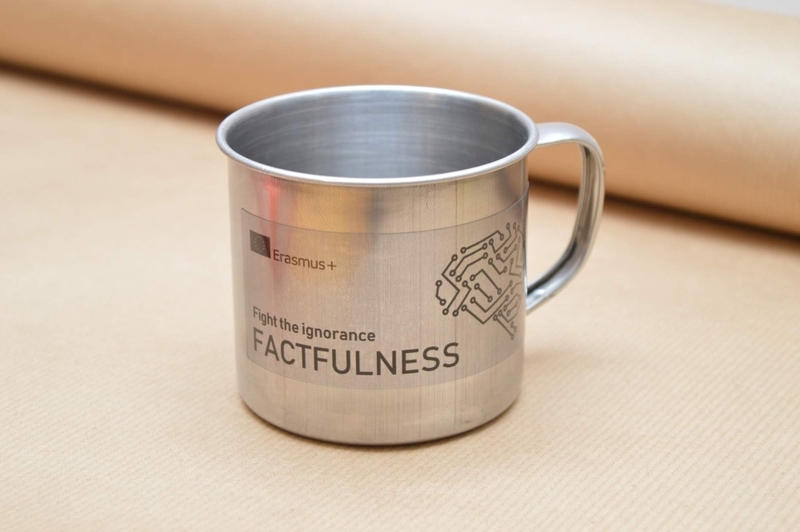 After a couple of months of brainstorming, gathering ideas, and networking the „Factfulness” project came into being. 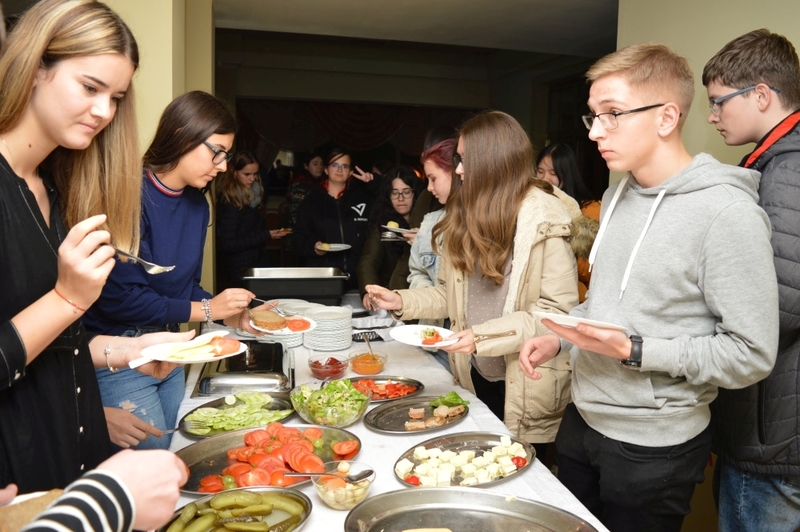 It’s objective was to fight ignorance among young people, develop competences related to media literacy and equip youth with the tools which allows them to analyse critically the input they receive from media. 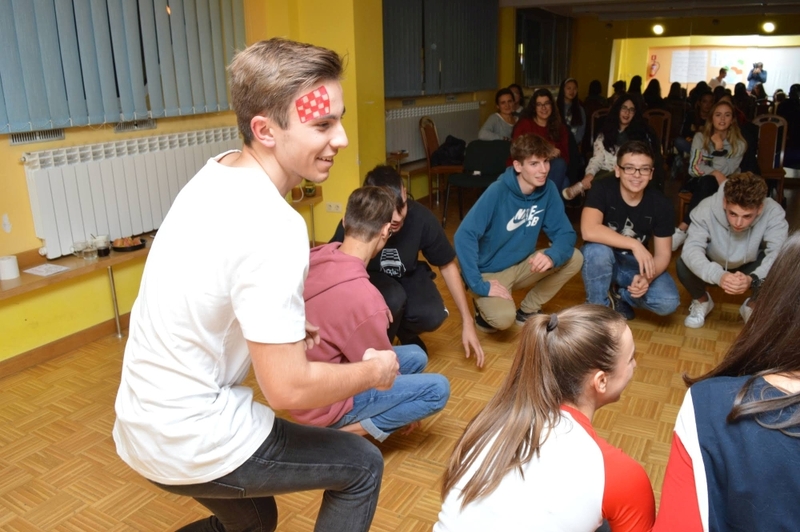 We are not experts on media literacy, therefore we decided to use high-quality resources provided by Fundacja Nowoczesna Polska. To some of you, the title of the project may sound familiar. It makes a direct reference to Hans Rosling’s fantastic book called „Factfulness”. 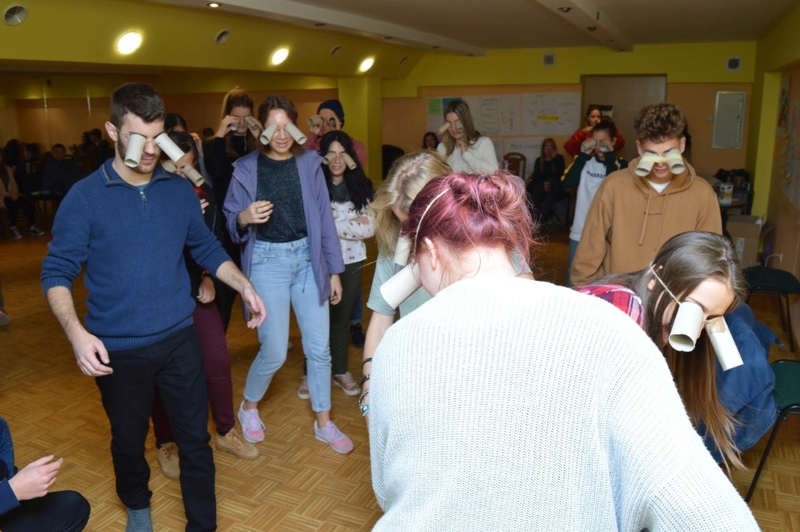 We thought that developing media literacy skills is only possible if we recognise and control ten dramatic instincs mentioned by Rosling in his book. We wanted to „Let the Dataset Change Our Mindset”. Listen to Bill Gates talking about the „Factfulness” book. Gapminder, the Swedish NGO founded by Hans Rosling, fights devastating misconceptions about global development. They produce free teaching resources making the world understandable based on reliable statistics. Their bubble charts and inpirational talks on Ted made statistics and fact attractive and eye-catching. They also developed a „Chimpanzee Test”, which we recommend taking. 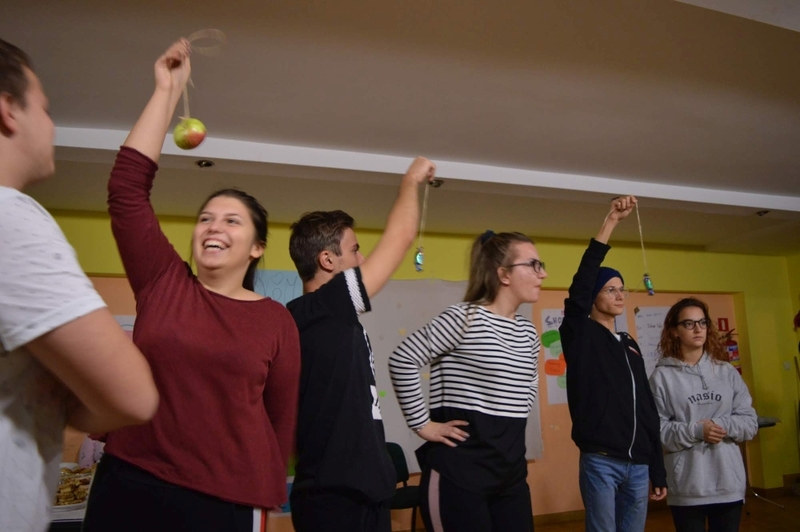 In August 2018, we received a great news from Polish National Agency of Erasmus+ Programme. Our project got financing! We rolled up our sleeves and got to work. 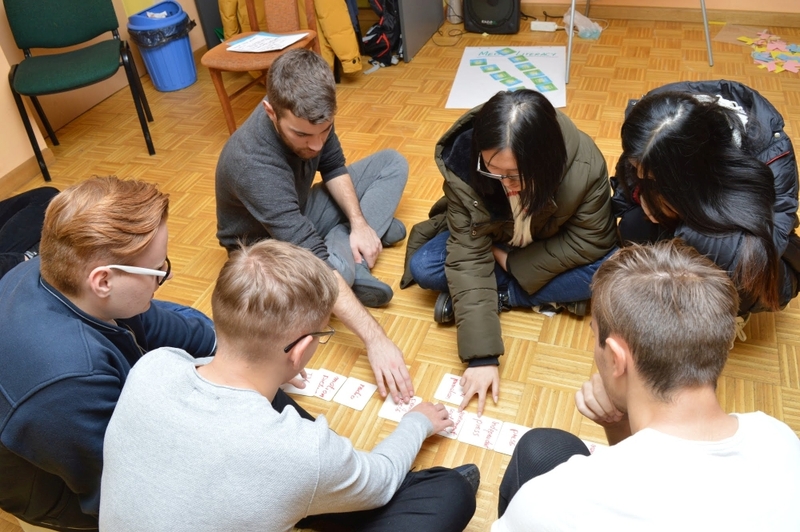 Booking a hostel, flight tickets, preparing workshops and cultural nights… there was so much to think about. Hopefully, we could count on our partners: Escola d’art i disseny and Breza. On rainy Saturday morning on 27 October, we all met face-to-face at breakfast for the first time. At first, each national group at a different table (We didn’t know it was the last time we were sitting like this). After breakfast, we started ice-breaking activities which lasted until lunch on Sunday. It was a crucial moment for us as a group. Knowing each other a little bit, we could start workshops. 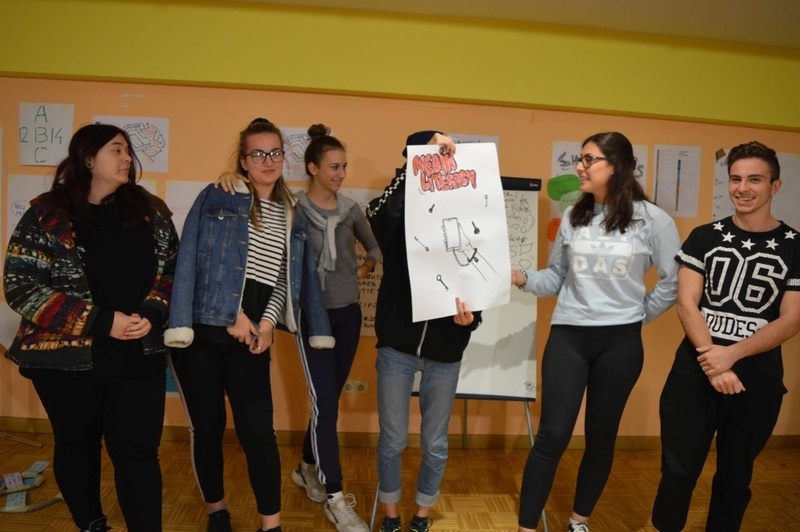 Media literacy is a complex issue, so we devided the workshops into six categories: Access, Evaluation, Analysis, Use, Communication and Creation. 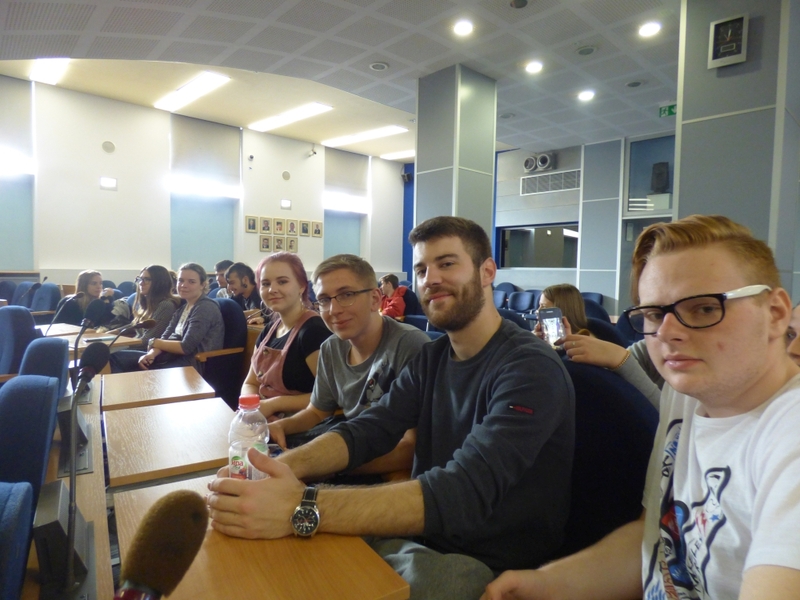 As you can see on the photos, it seems that we were sitting on the floor most of the time and… you are right. However, it wasn’t boring at all! 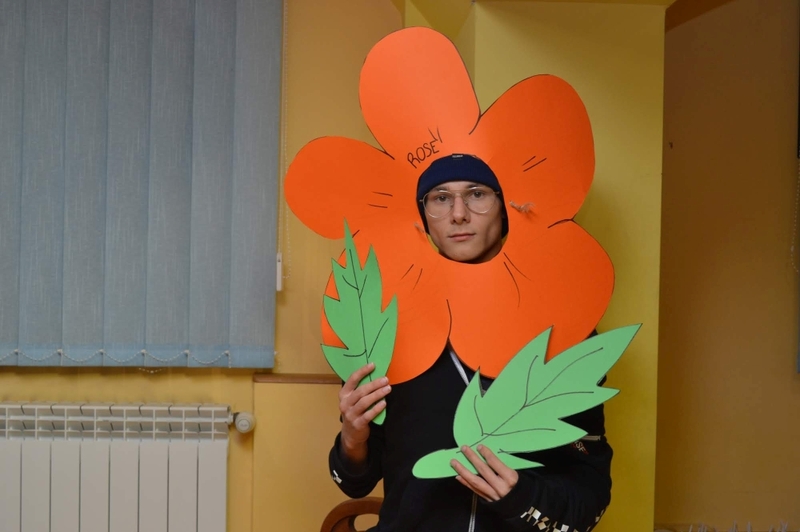 Janek gave us many ideas how to transform a seemingly boring topic into an engaging activity. Among other things, we visited a local newspaper where we asked some uncomfortable questions and a gallery where we discovered Polish School of Poster. The last workshop was about creation. We decided to design a poster promoting critical thinking which could be displayed at local schools in Czestochowa, Osijek and Sant Cugat. Each idea was brilliant but we had to select one to be printed. On the last day of our project, we went to City Hall and met some members of Youth City Council. 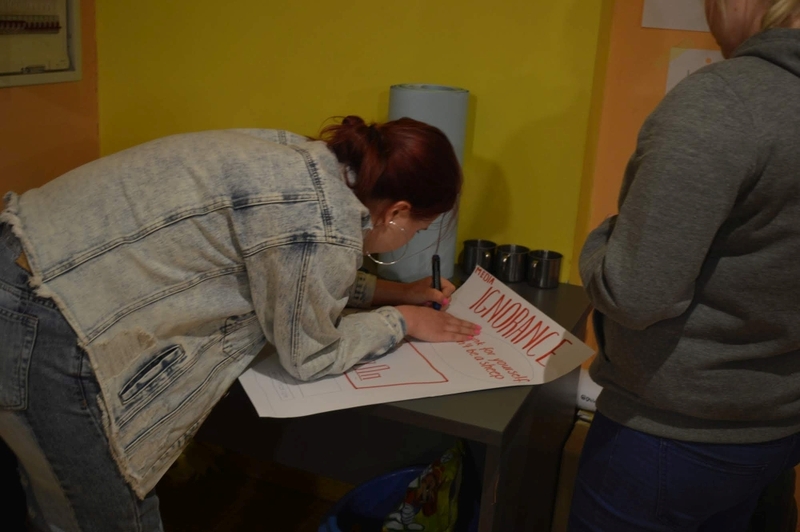 We showed them what we had done and handed in the posters to be placed in schools in Czestochowa. 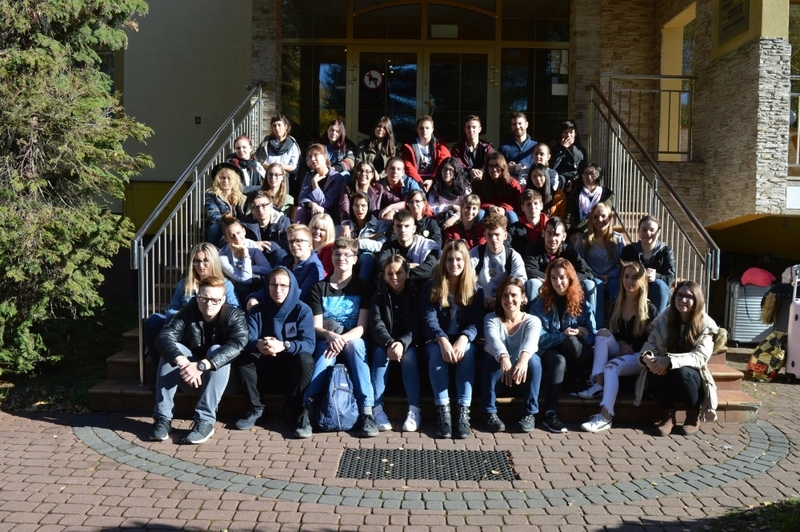 Of course, our youth exchange was not only about workshops. It was all about peaceful coexistence of people from three different cultural backgrounds, speaking whatever lanaguage, singing, playing, discussing, etc. In few words – overcoming the barriers we carry inside. 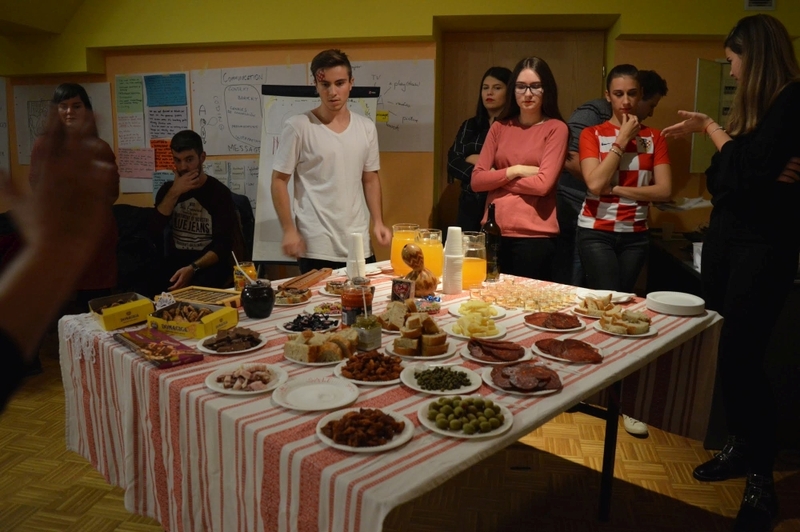 Each group presented itself during cultural evenings, we prepared a questing in the city and an „egg challenge”. One of the most emotive moment was a visit to a candlelit cemetery on 1 November. We are back home but we can’t forget about the time we spend together. In fact, some encounters has already taken place. Marija from Croatia visited Barcelona in December 2018 and met Alexandra and Alex. Now, we are eagerly waiting for the spin-off project in Croatia in summer 2019!